Toys"R"Us, Canada is announcing the return of the Great Trade-In event - a national campaign targeted at removing used and potentially unsafe baby products from Canadian homes from August 13 until August 29 at all Toys"R"Us and Babies"R"Us locations. The two-week program is designed to call attention to the fact that certain baby products should not be handed down or resold due to potential safety concerns. Earlier this year, the program generated the return of over 3,600 unwanted and used baby products across Canada. To encourage parents to turn-in additional used and potentially unsafe baby products, Toys"R"Us has made more product categories eligible for the upcoming Great Trade-In event. Canadians can now trade-in their used playards, high chairs, bassinets, exercisers, swings and walkers as well as cribs, car seats, strollers and travel systems, at any Toys"R"Us and Babies"R"Us store in exchange for 20 per cent savings on the purchase of a new item from the aforementioned list, excluding walkers, from participating manufacturers. Toys"R"Us will ensure the turned-in products are destroyed and disposed of responsibly. Health Canada recommends parents and caregivers are thorough when purchasing used and new baby products. Parents must ensure that all instruction manuals and appropriate literature is included and that the product is not only age appropriate, but suitable for the individual child's weight and height, as these often vary. 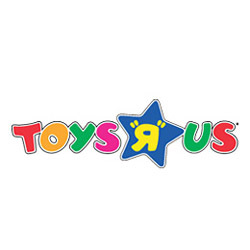 For more information on Toys"R"Us store locations click here. The Montreal Children’s Hospital reminds parents to be cautious when purchasing toys for children. For our list of buying guidelines for safe toys, click here.